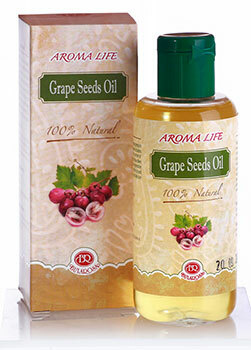 Grape Seeds Oil is very light, easily absorbed, penetrating deeply in the skin, regulating fatty secretions, and improving blood circulation. It is a strong natural antioxidant thanks to the high content of beneficial fatty acids which guard against oxidation and slow down the aging process. The oil has constricting, tonic, and regenerative effects, helping to keep the skin moisturized. It is used for face and body massages as well as an additive in face, body, and skin care cosmetic products.